All Grain Irish Red Ale homebrew recipe. 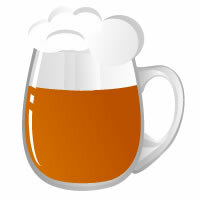 This homebrew recipe uses the following ingredients: Pilsen Argentino, Chateau Pilsen 6RW - BE, Chateau Arome - BE, Chateau Melano - BE, Chateau CaraRuby - BE, Perle Hops, Fuggles Hops, Lallemand Nottingham Homebrew Yeast. This recipe was cloned from IRA dos Deuses.